I'm always looking for great ideas for Groomsmen gifts. It's always harder to shop for a man, and that doesn't change when it's time to shop for a wedding. I came across this picture last night on A Bryan Photo, and I just thought, "Yes!" Brilliant, right? Bright and brilliant, for sure. And I am totally digging the socks on one pair of legs there. You'd have to make sure you get the complete set. Congrats on your recent nuptials! 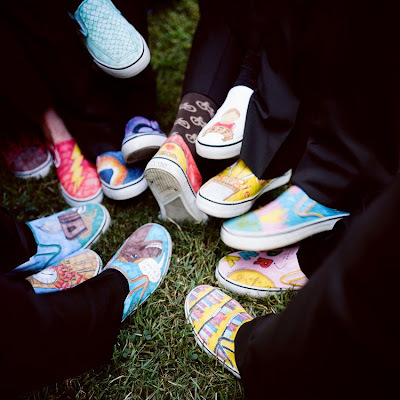 Just found the link to your blog, I actually have a wedding blog myself from the guys point of view...but anyways I am also looking for good groomsmen gifts but the shoes are a little "lite in the loafers" if you know what i mean....nice job thinking outside the box though. Well that's cute, isn't it?